A wound is a disruption of skin epithelial lining or mucosa which results in thermal or physical damage. Depending upon the healing nature and duration, a wound is classified into two types that is chronic wounds and acute wounds. Wounds can be caused because of the incisions made in the body during surgeries. A wound dressing is treating the wounds by both external and internal surgical procedures. Traditional wound dressings are used to treat acute wounds while advanced wound dressings are used to treat chronic wounds. Europe Wound Dressing Market is majorly driven by advancements in the technologies and problems that are associated with traditional wound healing methods. Furthermore, increase in ageing of the population, government initiatives, and dire need of rapid and safe treatment for chronic wounds are also propelling the growth of the Europe Wound Dressing Market. A rise in prevalence of lifestyle disorders leads to chronic wounds like venous leg ulcer, pressure ulcer, diabetic foot ulcer is expected to accelerate the growth of Europe Wound Dressing Market. However, high cost associated with the treatment, lack of awareness and reimbursement issues of new technologies are the few factors which are restraining the growth of the Europe Wound Dressing Market. Europe Wound Dressing Market is segmented as Germany, France, UK, Italy, Spain, Russia, Poland, and Rest of Europe. Europe holds the second largest position in wound dressing market after North America due to increasing in incidence and prevalence of lifestyle diseases like diabetes, growing technological advancements, and favourable initiatives taken by the government. Organizations such as European Wound Management Association are promoting best wound management practices and aims to advocate the rights for people with wounds. Prevalence of wounds in European population is 4 in 1000 people. Germany wound dressing market is expected to account major revenue share in Europe due to high adoption of cutting-edge technologies. 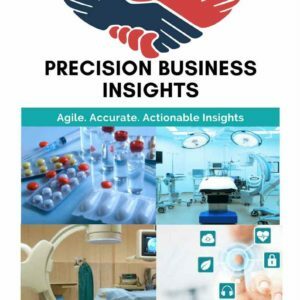 UK, France are the key markets in Europe for wound dressing market owing to the high adoption of technological advancements, increase in diabetes population, health system quality metrics. Companies in the European region are expanding their market by adopting advanced product portfolio which is combined with strengths in education, strategic selling and lobbying to senior health system management. In 2014, 1, 52, 000 deaths were reported in EU-28 because of the accidents. According to WHO, in 2013, around 85000 deaths were reported in European countries due to the injuries by road traffic. As per to the Diabetes UK report 2015, a Prevalence rate of diabetic foot ulcers is about 2.5% of 86,000 people in the UK. The Europe Wound Dressing Market is classified on the basis of product, type, end user, and geographical regions. Some of the players in Europe Wound Dressing Market, Smith & Nephew plc (UK), Hematris wound care GmbH (Germany), Wound Care Technologies, Inc. (U.S.), Baxter International Inc. (U.S.), Mölnlycke Health Care AB (Sweden), Acelity LP Inc. (U.S.), Coloplast A/S (Denmark), ConvaTec Group Plc (UK), IonMed (Israel), Ethicon, Inc. (U.S.), Medtronic plc (U.S.), 3M Company (U.S.), Derma Sciences, Inc. (U.S.), BSN Medical GmbH (Germany). Europe Wound Dressing Market report gives a comprehensive outlook of Wound Dressing usage or adoption across the globe with special emphasis on key regions such as Germany, France, UK, Italy, Spain, Russia, Poland, and Rest of Europe. This report on Europe Wound Dressing Market gives historical, current, and future market sizes (US$ Mn) of product, types, end users, and geographic regions. This report studies Europe Wound Dressing Market dynamics elaborately to identify the current trends & drivers, future opportunities and possible challenges to the key stakeholders operating in the market. In addition, Europe Wound Dressing Market report covers newer product introductions and competition analysis with vividly illustrated competition dashboard to assess the market competition. Moreover, PBI analysed Europe Wound Dressing Market to better equip clients with possible investment opportunities across the regions (Regional Investment Hot-Spots) and market unmet needs (Product Opportunities). Key stakeholders of the Europe Wound Dressing Market report include suppliers, manufacturers, marketers, policymakers engaged in manufacturing and supply of products.